Customer service is a critical part to any business. The quality of service provided directly affects a company’s revenue. Consumers are more likely to buy from a company that provides a higher level of customer support. And, they’ll pay more for the product from that company, too. On the flip side, however, consumers are just as likely — and in some cases more likely — to punish a company for poor service. In fact, according to a 2018 Customer Service Expectations Survey by Gladly, 68% of the respondents said they would pay more for a product from a company which had a strong record of good customer service. Those 5 star reviews on your Facebook page do matter! Customers today have high expectations for a resolution on the first contact – no matter what channel they decide to reach out on. 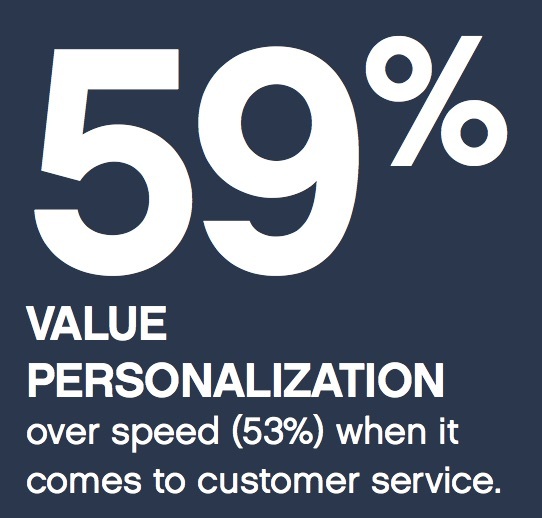 And while speed is important for service, consumers actually value one thing even more—being treated like unique, valued individuals. 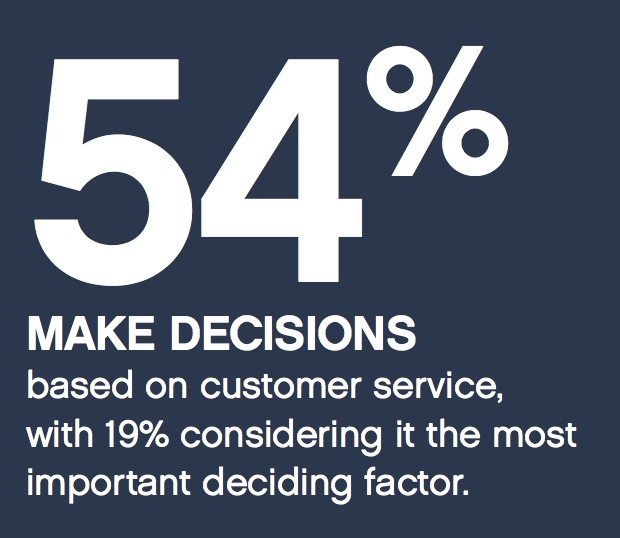 Customer service shouldn’t be seen by companies as simply a cost of doing business anymore. Instead, it’s an investment that in time, will pay for itself many times over. If you’re uncertain how to meet customer expectations for support with your business, check out this list of resources to help guide you in the right direction. The customer experience begins with your employee experience. Treat your employees with respect and they’ll share this with your customers. ZenDesk, the popular customer service software and ticketing system, shines a light on how to relate to your customers and employees on an important level – emotional Check out their website and podcast for insight on how to build customer and employee relationships to grow your business. Trying to navigate the customer experience as a whole but are not sure where to begin? Join the CX Accelerator community to gain access to industry professionals. Ask questions and build connections with people who have been in the business for years via the invite-only Slack channel. Consider this your VIP pass! Have questions about customer support or running a support team? With over 4,000 community members, ask those and get real world answers on a variety of topics. They also host multiple conferences throughout the year with opportunities to learn in person. Looking for customer service or experience training? ICMI provides hands on trainings throughout the year! Join them at a conference or participate in one of their free webinars. If you’re a Twitter user, join the pop-quiz style weekly #ICMIChat to dive into where your company stands, successes and failures, around customer service and experience. Customer service perspectives, insight and lessons – plus fun – from the FCR Director of Quality, Jeremy Watkin, and your very own, Jenny Sue Dempsey of NumberBarn. Be sure to check out their Breaking the Ice webisodes to learn some creative questions to bring to your next team meeting. Shep Hyken is a customer service and experience speaker as well as a New York Times and Wall Street Journal best selling author. His perspective on amazing every customer, every time starts from the foundation of providing consistent, above average service to customers. Be sure to subscribe to his blog for weekly stories! Jeff Toister, of Toister Solutions, is an author and speaker. He has a knack for guiding you through creating a service culture that gets your employees obsessed with customer service. Sign up for his weekly customer service tips featuring invaluable advice on how to refresh your skills and gain new ideas. Focused more on the customer experience journey as a whole? Dive into this with certified customer experience professional, Annette Franz. She also features insight on how to build and improve your employee experience. How would your company act if every customer were your mom? Jeanne Bliss is an author, Founder and President of CustomerBliss, and the Co-Founder of The Customer Experience Professionals Association. She offers insight into how you can see customer growth by bringing personal connections into your business. With the input of customer service and experience bloggers from around the globe, you’ll have no problem finding ideas on improving your support center. Be sure to check out the Editor’s Pick articles for handpicked content written by industry professionals.